QUEENS — When it comes to the proposed "Queens High Line," online momentum is meeting real-world resistance. Two community groups in Queens are giving plans to turn an abandoned Long Island Rail Road track into a High Line-style park a lukewarm reception. Both the Forest Hills Civic Association and the Woodhaven Residents Block Association have been slow to embrace the proposed QueensWay, which would turn 3.5 miles of abandoned tracks into a public-use park similar to Manhattan's High Line. The QueensWay is one of two proposals for the rail lines, which run through Ozone Park, Woodhaven, Richmond Hill, Forest Hills and Rego Park. The other proposal, championed by the Regional Rail Working Group, would rebuild the tracks and provide commuter train service to the Rockaways. Support for the QueensWay has been building online. In October, a Change.org petition on behalf of the QueensWay reached its goal of 2,000 signatures, and 74 donors have contributed more than $6,000 to an online fundraiser to pay for a study on the feasibility of the project. Forest Hills Civic Association president Barbara Stuchinski said while the association would prefer to see the QueensWay built over a new rail service, most members of the association would like nothing be done with the rails at all. 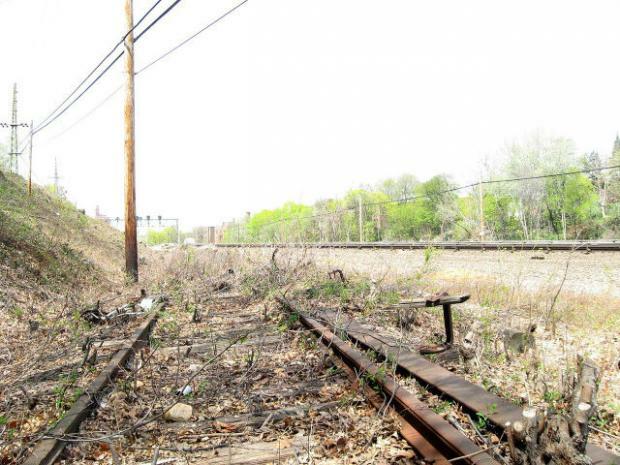 "Given the two alternatives, they would rather see the green space stay and the railroad go," Stuchinski said. "The problem is that their actual preference is neither one. They want status quo." Stuchinksi said that many of the residents have expanded their backyards into the railway, which has been abandoned for over 50 years. "They figure they've been using it for so many years that it belongs to them," she said. "They're very reluctant to part with any property, whether it's theirs or not." The Woodhaven Residents' Block Association, which hosted a forum on the proposals in September, also said that it would prefer neither idea move forward. Instead, WRBA president Ed Wendell is calling for the city to clean up the lines. "The city is good at ticketing people for not putting out garbage properly. And here is a big massive piece of property that they have let rot for 50 years," he said. "Lead by example. That place is an eyesore, and it's been that way for so many years." QueensWay proponents have welcomed the feedback from the community groups. Travis Terry, who represented the group at the Community Board 6 monthly meeting Wednesday night, encouraged broad debate of the proposal. "Those are natural reactions to the change of this property," Terry said. "It's our job through the planning process to make sure that everyone has the opportunity to weigh in and provide input so that those kinds of concerns can be addressed." Terry, who lives in Forest Hills, also noted that the QueensWay project is still in the very early stages of planning, so elements of the proposal can change based on community feedback. "We're at spring training," Terry said. "Our intent right now is to go on a listening tour."